As a youngster in central Mexico, Miguel García-Garibay discussed nature, plants and insects on mountain hikes with his father, who was an elementary school teacher. By middle school, García-Garibay excelled at biology and mathematics. 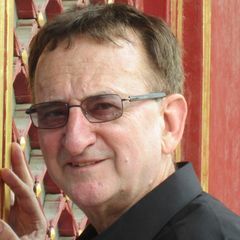 Waugh praised García-Garibay as a passionate scholar whose research group has earned worldwide recognition in the fields of organic photochemistry, solid-state organic chemistry and physical organic chemistry. In his research, García-Garibay studies the interaction of light and molecules in crystals. Light can have enough energy to break and make bonds in molecules, and his research team has shown that crystals offer an opportunity to control the outcome of these chemical reactions. He is interested in the basic science of molecules in crystals. His research has applications for green chemistry that may lead to the production of specialty chemicals that would be very difficult to produce by traditional methods due to their complex structures. His research group has also made advances in the field of artificial molecular machines and amphidynamic crystals, a term García-Garibay invented, referring to crystals built with molecules that have a combination of static and mobile components. UCLA has a tremendous faculty and many of the best students in the country, García-Garibay said; these students will become future leaders. UCLA’s physical sciences division is extremely well-regarded worldwide — the best among all public universities in the country, according to some respected rankings. The academic departments in the division are very influential, and the quality of the research “is mind-boggling,” García-Garibay said. What will García-Garibay’s main goal be for the physical sciences? “To maintain the highest level of research with the highest-quality education and the best experience for our students,” García-Garibay said. Undergraduate education has long been a priority of his. As chair of chemistry and biochemistry, he started a successful program to bring prominent alumni in such fields as medicine, biotechnology, business and law to campus to speak about their career paths and meet with students. He would like to encourage more such interactions, he said. García-Garibay said he is proud of UCLA’s diversity and will work to enhance it in the physical sciences. “UCLA is among the top universities in the world to graduate students who are the first in their families to go to college,” noted the scientist, who served as diversity advisor for the division of physical sciences from 2009 to 2012. This is an exciting time to do science, García-Garibay said, with science becoming so interdisciplinary, drawing from many fields. He plans to maintain his research and laboratory. Much of his research is funded by the National Science Foundation. 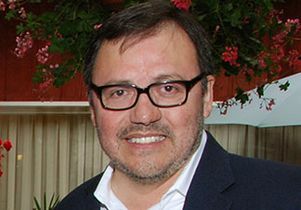 García-Garibay has been a member of UCLA’s faculty for more than two decades. He has won many honors for his research, including selection as a fellow of the American Association for the Advancement of Science, as well as numerous honors from the National Science Foundation and the American Chemical Society. He is a member of the California NanoSystems Institute, Society for Advancement of Chicanos/Hispanics and Native Americans in Science, and Royal Society of Chemistry, among other scholarly organizations. “Chancellor Block and I are confident that the division of physical sciences will continue to thrive under Miguel’s capable leadership,” Waugh said in his announcement. He also thanked Physical Sciences Dean Joseph Rudnick for his distinguished leadership of the division since 2006. Garcia-Garibay will become the dean of the UCLA Division of Physical Sciences on July 1, 2016.